Register your details to be informed about our next property event. Please indicate on the form under "Your Preferred Topic"
Thank you and look forward to see you on our next event! Ogah Ah Jadi Orang Susah! Memiliki properti sebelum usia 30 tahun merupakan hal yang di-impikan banyak orang. Kelihatan semakin hari semakin sulit untuk bisa memiliki property. 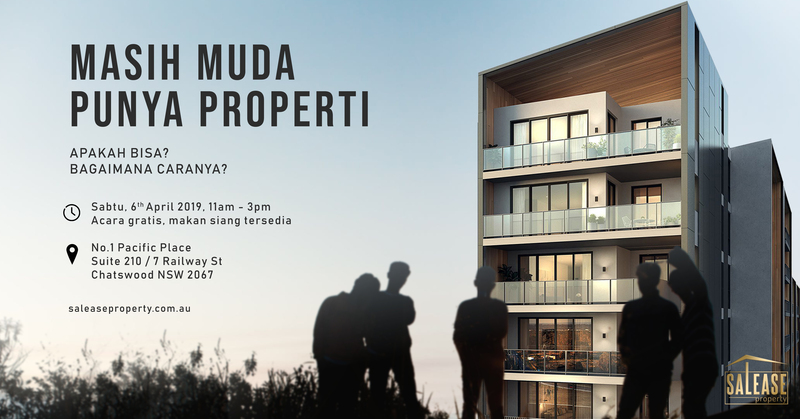 Biaya hidup yang bertambah mahal dan harga property yang semakin tinggi menjadi alasan utama untuk ini. Datang yuk ke acara ini. Kita belajar dan cari info serta pengalaman dari orang yang pernah berada di posisi kalian sekarang. Acara ini berlangsung selama 4 jam, jadi akan dikupas secara mendalam strategi dan caranya. Register your interest today to book an appointment and be part of the VIP Launch. Information sessions commencing from Saturday 2 March 2019. Live above it all in this landmark residential tower, offering a collection of 1, 2 and 3 bedroom designer apartments with many taking advantage of stunning park and district views, from under $500,000. 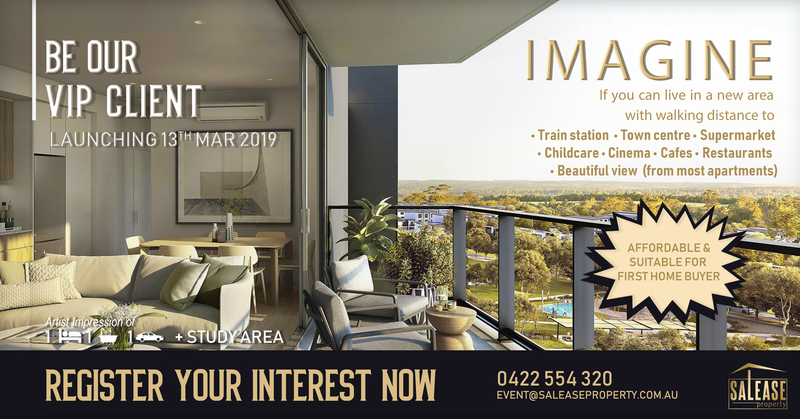 To qualify for the upcoming VIP launch, preview floorplans, viewlines and indicative pricing, register your interest and book an appointment with us from Saturday 2 March 2019. You’ll also learn how you can secure your preferred apartment at the upcoming VIP launch, exclusive to appointments only. 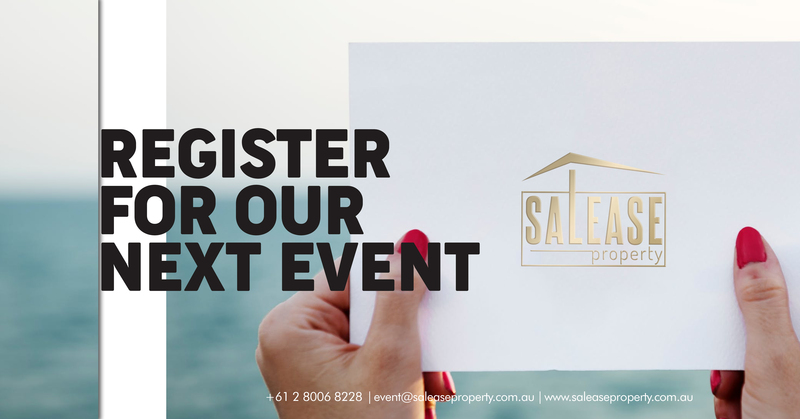 SALEASE Property would like to invite you to our special events designed for those of you who are thinking about doing your FIRST in property. If you are thinking to buy your first home or first investment, then perhaps this is the right information event for you. 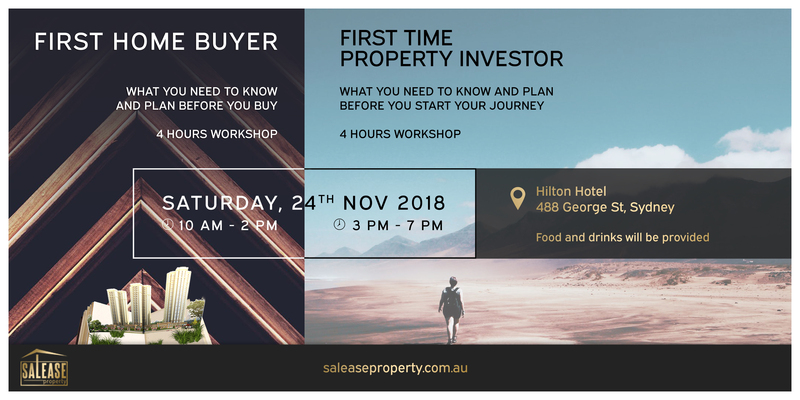 We will conduct two separate workshops, one for first home buyer and another one for first time investor. Each workshop has 4-hours duration and is designed to provide you with facts, accurate information and thorough knowledge so you can go home with better understanding of the process, which in turn can assist you in making one of the biggest decisions in your life. We will have in-depth discussion with you and will give you opportunity to ask questions or raise concerns you may have. Planning is one of the key elements in purchasing property. Please ensure you register to the correct session. The morning session is for home buyer and in the afternoon one is for first time investor. - Benefit of buying new property and which Sydney area considered suitable for first home buyer? - Listen to the experience of people who have purchased their first home. - Our principal will share his experience on how he grows his investment portfolio from zero value to over $10 million. First thing first, it starts from you to take action to attend this event! 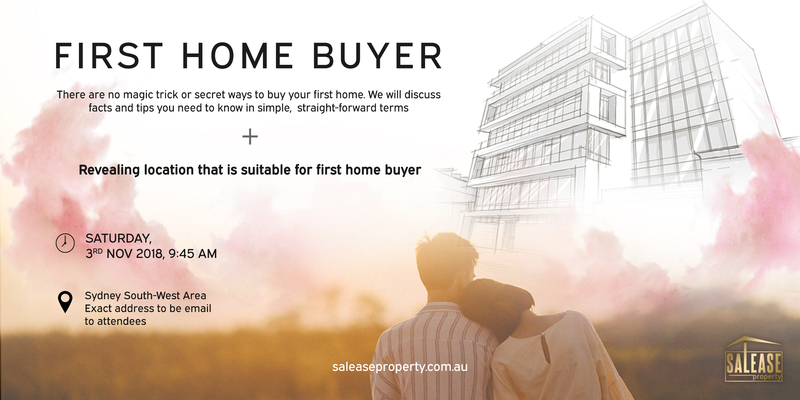 Are you thinking of buying your first home and want to find out more about the process? There are no magic trick or secret ways to buy your first home. We will discuss facts and tips you need to know in simple, straight-forward terms so that you can go home with excellent understanding of how to get into your first home. PLUS... you will get the chance straight after the event to chat to our team about any questions you have about the property market & mortgage. PLUS… you can inspect one of the property developments from one of the most reputable developers in the country that we think is suitable for first home buyer. LIMITED SPACE available and we suggest if you are a couple, both of you are to attend the event. But we give you some hint - Definitely not in the city or inner-city area. The area is a bit further but are growing really fast as a new town centre are being built. It is at Sydney South-West area, 10 minutes’ drive from Liverpool or approximately one hour by train from Central station) and most importantly, access to public transport is at the door step. Recent changes in lending environment has significantly affected borrowing power. Through these workshop, find out how these changes will affect you and steps required to plan your purchase and avoid the common mistakes. 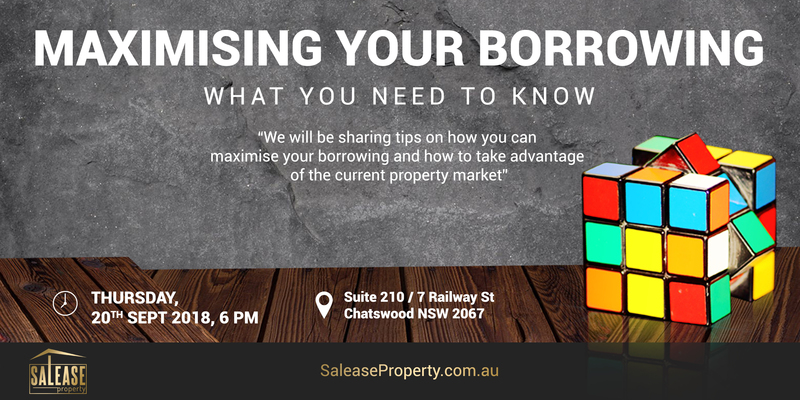 The workshop will be run by our experts in lending and property industry, who will discuss and answer questions which may help you decide the correct home or investment property. RSVP is required due to limited seat. GALLERYOgah Ah Jadi Orang Susah! Mengulang Kesuksesan Acara "𝗢𝗴𝗮𝗵 𝗔𝗵 𝗝𝗮𝗱𝗶 𝗢𝗿𝗮𝗻𝗴 𝗦𝘂𝘀𝗮𝗵"
Salease Property mengundang bapak dan ibu untuk menghadiri acara dengan tema yang sama. Kami percaya acara ini bisa memberikan inspirasi yang positive, idea dan informasi yg berguna untuk anda yang mau menjadi sukses melalui investasi di property. 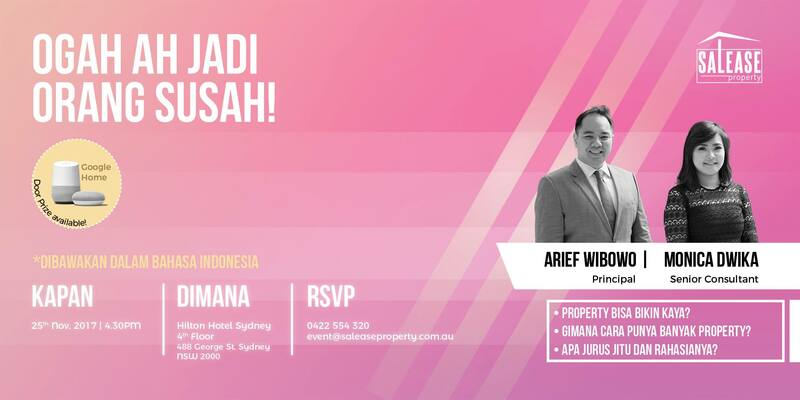 Arief Wibowo, Principal dari Salease Property akan berbicara dan berbincang langsung dengan anda. Kesuksesan dimulai dari anda sendiri, belajar sukses dari orang yg berpengalaman adalah salah satunya. 𝐴𝑐𝑎𝑟𝑎 𝑖𝑛𝑖 𝑎𝑘𝑎𝑛 𝑑𝑖 𝑏𝑎𝑤𝑎𝑘𝑎𝑛 𝑑𝑎𝑙𝑎𝑚 𝑏𝑎ℎ𝑎𝑠𝑎 𝐼𝑛𝑑𝑜𝑛𝑒𝑠𝑖𝑎. 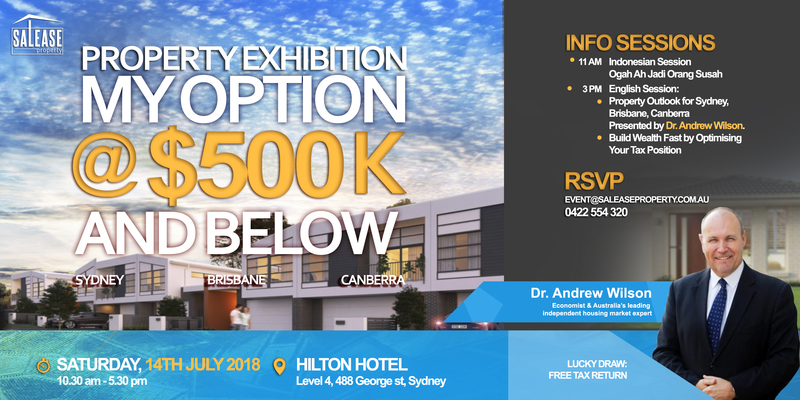 Once again SALEASE Property is delighted to invite you to our property exhibition showcasing a selection of properties of $500,000 and below. ✦𝐵𝑢𝑖𝑙𝑑 𝑊𝑒𝑎𝑙𝑡ℎ 𝐹𝑎𝑠𝑡 𝑏𝑦 𝑂𝑝𝑡𝑖𝑚𝑖𝑠𝑖𝑛𝑔 𝑌𝑜𝑢𝑟 𝑇𝑎𝑥 𝑃𝑜𝑠𝑖𝑡𝑖𝑜𝑛 – Presented by Jason Chan, Accountant from CO Partners. 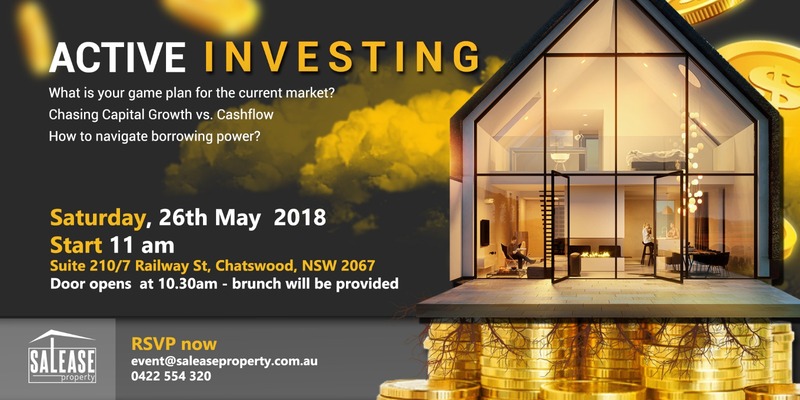 There will be property consultants, mortgage broker, accountant and financial planner available on the day for you to have no obligation discussion with. There will be lucky draw of free tax return. Công ty Salese Property hân hạnh kính mới quý khách hàng và nhà đầu tư đến tham dự buổi hội thảo chuyên đề dành riêng cho cộng đồng Việt Nam. 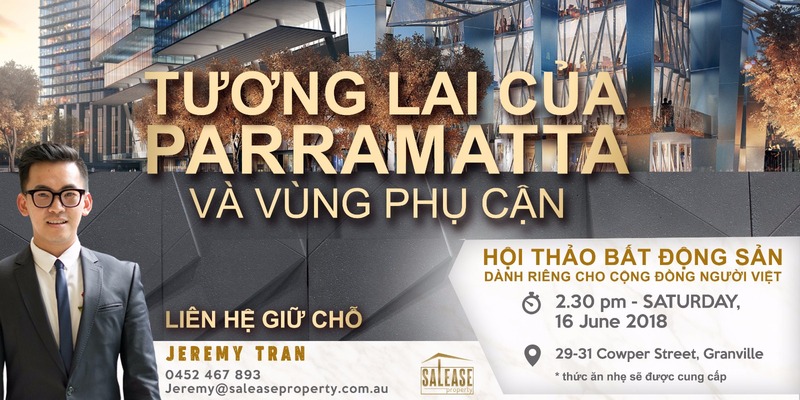 Chủ đề : Tương lai của thành phố Parramatta và vùng phụ cận. Thời gian: 2:30 pm Thứ 7 ngày 16 tháng 6 năm 2018. Tại buổi hội thảo, quý khách hàng sẽ cung cấp những thông tin cập nhật mới nhất về thị trường bất động sản tại Sydney nói chung, đặc biệt là tại thành phố Parramatta và vùng phụ cận nói riêng. Ngoài ra, tại buổi hội thảo, quý khách hàng và nhà đầu tư sẽ được trực tiếp tham quan căn hộ kiểu mẫu tại quận liền kề với thành phố Parramatta với nhiều tiện ích , phù hợp với mọi đối tượng khách hàng. Vui lòng liên hệ HOTLINE : 045 246 7893 để giữ chỗ và biết thêm thông tin chi tiết. What is your game plan for the current market? How to navigate borrowing power? future of the Australian property market"
to owner occupier and investor demands. include a Q&A session after the workshop. 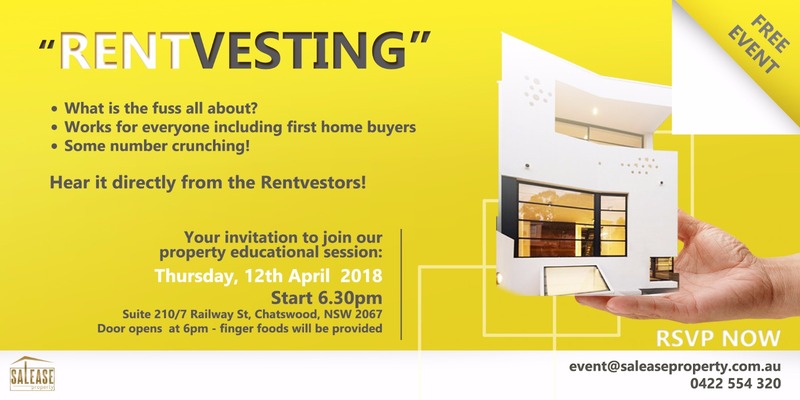 SaLease Property invites you to join our property to join our property educational session, Rentvesting. You can learn how its works! and it's also a free event! 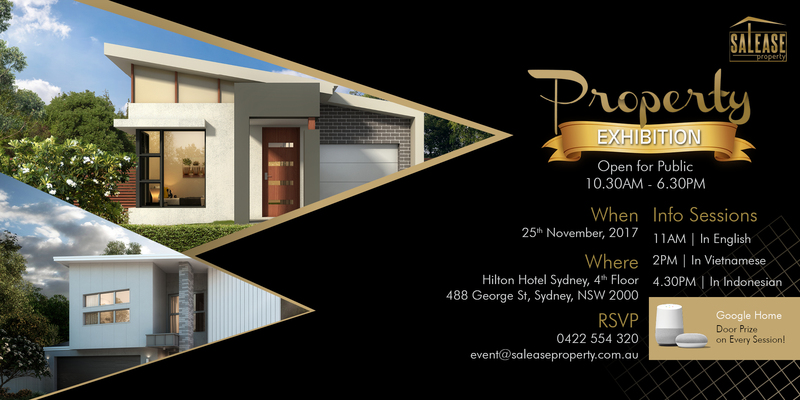 Salease Property invites you as our valued client to an exclusive VIP workshop. 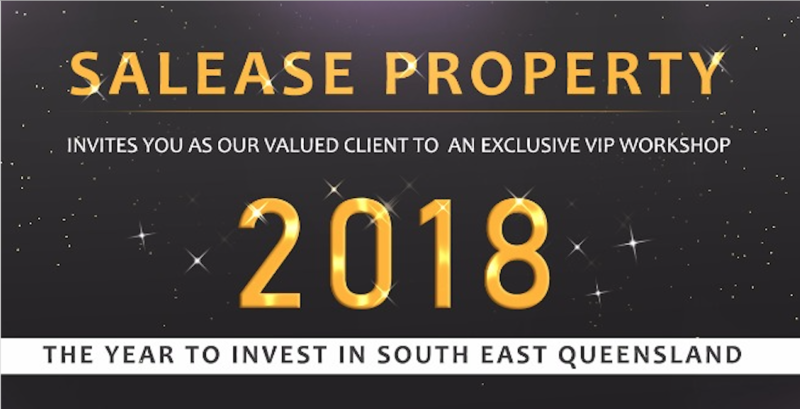 2018, the year to invest in South East Queensland.
" 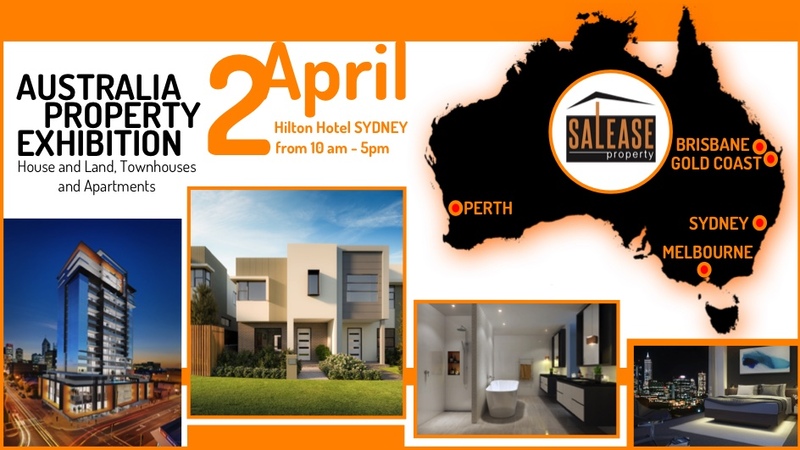 Understand how to leverage the major catalyst that will drive capital growth and opportunity in South East Queensland"
SALEASE Property would like to invite you to our Property Exhibition that will showcase carefully selected projects from Melbourne, Sydney, and Brisbane including apartments, townhouses, and house and land. Finding the right investment property is not an easy thing to do. By attending this event we may be able to assist you in finding the right one for you. First home buyers are also welcome as some of the featured projects may be suitable for you. Investment is about the future - you will see the benefit later. Now is the time to plant the seed. Door prize available on every info session. Mengulang kesuksesan acara "Ogah Ah Jadi Orang Susah" di Bankstown pada bulan September kemarin, Salease Property mengundang bapak dan ibu untuk menghadiri acara dengan tema yang sama. Jangan lewatkan acara ini, karena ini adalah acara property kami terakhir di tahun 2017. Acara ini akan di bawakan dalam bahasa Indonesia. Ada door prize yg menarik untuk peserta. Thân mời quý đồng hương, nhà đầu tư và khách hàng đến tham dự cùng với Jeremy và công ty Salease Property. Tại buổi hội thảo, quý khách hàng sẽ gặp gỡ trực tiếp những chuyên viên cho vay mua nhà từ ngân hàng ANZ, luật sư mua bán nhà và chuyên viên tư vấn đầu tư bất động sản. Tất cả đều được trình bày bằng tiếng Việt ! Salease Property mengundang anda yg mau belajar gimana sih cara untuk berinvestasi yg mudah di property dan bisa memiliki banyak property. Yang asiknya lagi acara ini akan di bawakan dalam Bahasa Indonesia. 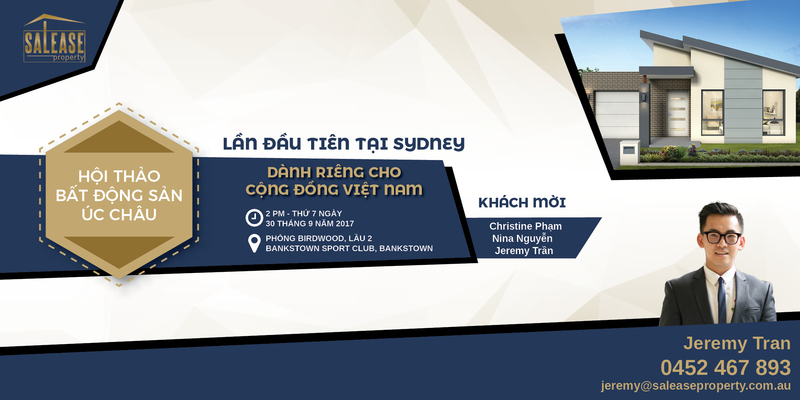 Tempat acara: Bankstown Sport Club. 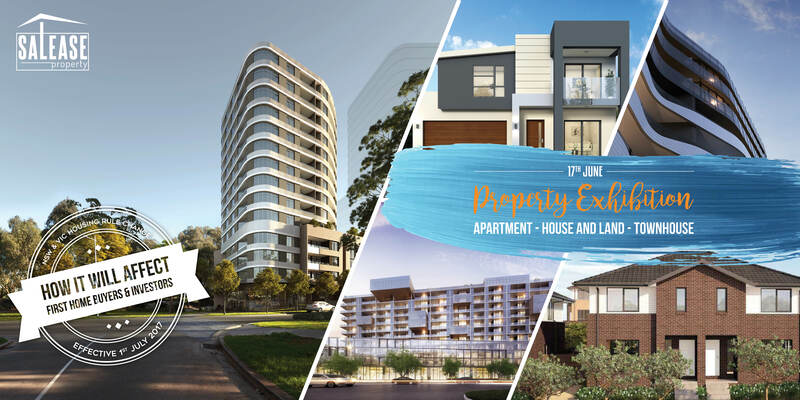 SALEASE Property would like to invite you to our Property Exhibition which will showcase a large number of projects in Melbourne, Sydney, and Brisbane. From townhouses, house and land, apartment, we have everything that will suit your real estate needs as a first home buyer or seasonal investors. Here is your LAST CHANCE for stamp duty saving for Melbourne property before 1st of July 2017 rule change. You can save tens of thousands of dollar when you buy the property before 1st July 2017. This is a right time for anyone who wants to invest in Victoria area, not to mention about the new regulations for NSW area that will be beneficial for First Home Buyers with the newest stamp duty rule. 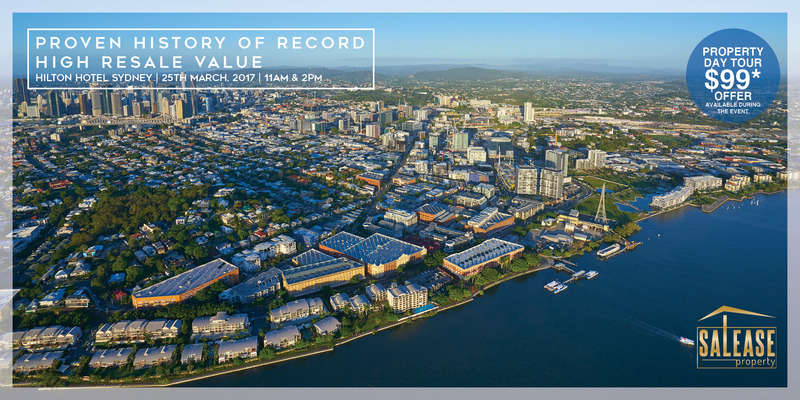 Come and join us in this special preview on the up and coming expensive riverside area in Brisbane, bordering with $1.9 million median price suburb. With proven history of high resale value, minimum investment of $650,000 by award winning builder/developer, this come as a once in a lifetime opportunity for property seekers. We would also organize a property day tour for $99 that would be available during the event for those who are interested. 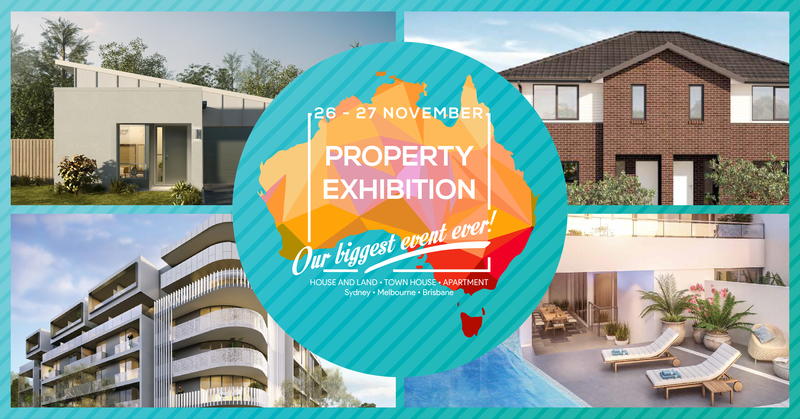 We would like to invite you to our BIGGEST Property Exhibition for 2016. Great opportunity to find the right investment property for you and save you driving around. We are showcasing apartments, townhouses and house & land at various Sydney, Melbourne and Brisbane locations. Many projects will offer special incentives that may be offered ONLY during the exhibition. 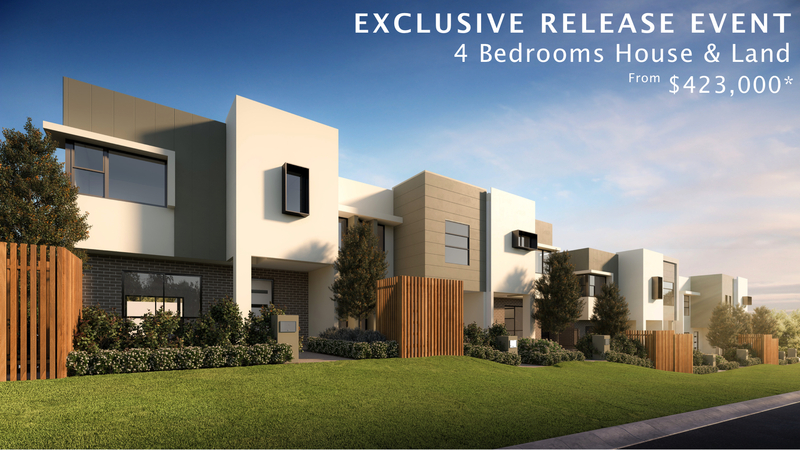 Suitable for first time and seasonal investors, as well as 1st home buyer. You may find the property that you have been looking for on this event. As usual, there will be financial planner, acocuntant and mortgage broker that will be available on the day for FREE consultantion. Door prizes iPAD or DYSON hand held vacuum available on every session. You need to register from this link http://goo.gl/aA1bnf to be eligible to go into the doorprize draw. 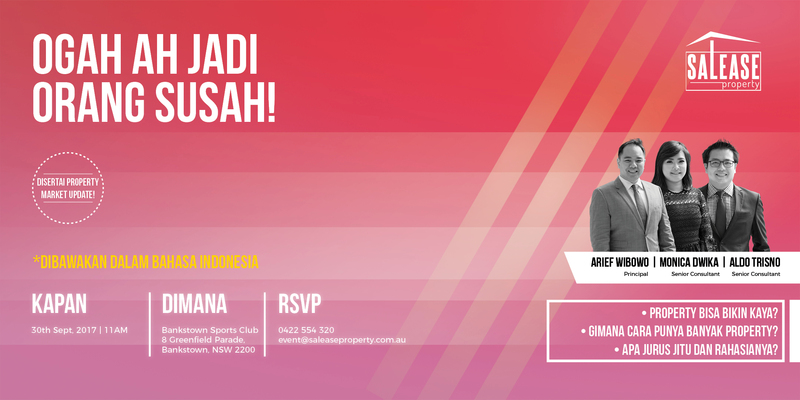 We'd like to invite you to House & Land property event. 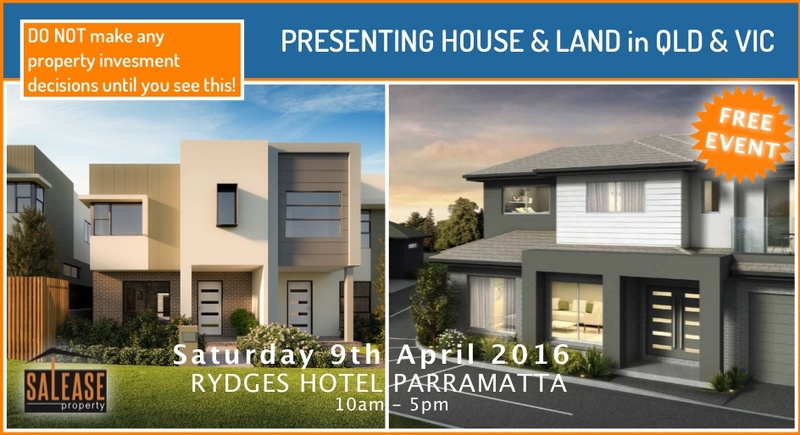 We are showcasing various Sydney, Melbourne and Brisbane house and land projects. Price range between $392,000 to $1,4 Million. Suitable for both owner occupier and investor, you may find the property that you have been looking for in this event. Door prize available on every session for pre-registered attendees. Do not make any property investment decision until you see this !!! Affordable investment opportunity with great potential. - International warehouse shopping "COSTCO" in this area as well. Door prize also available on every session. 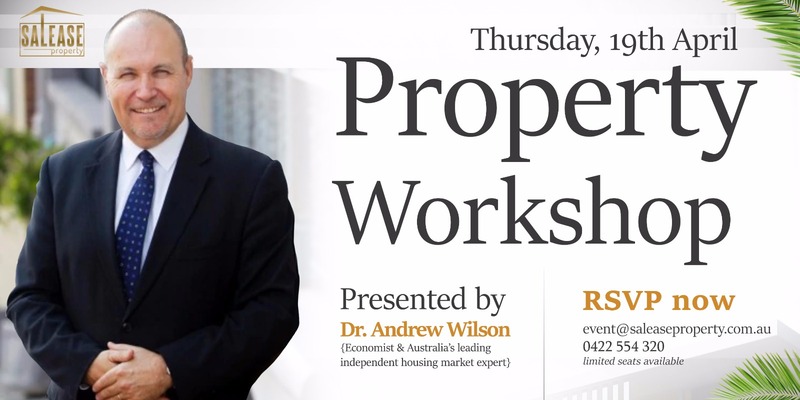 Seminar session: Project Information + How to utilize SMSF and equity in your home to purchase investment property. 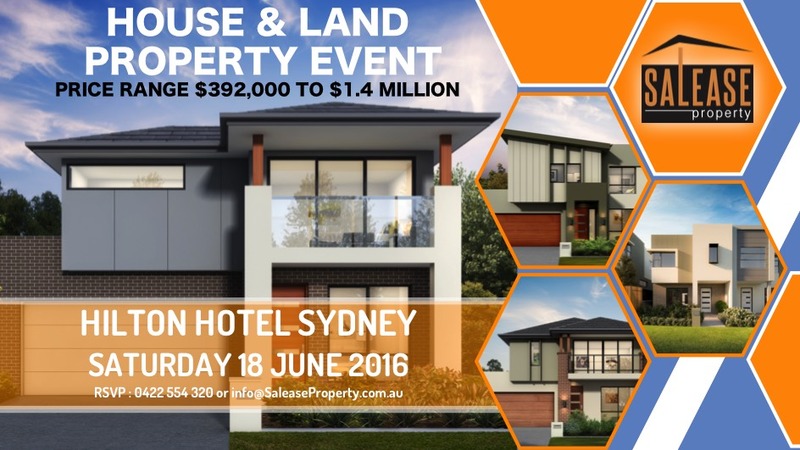 We'd like to invite you to our 1st Multi-City Property Exhibition for 2016. - House and land, Townhouses and Apartments. - Price from mid $300k. - Other attractive incentives to be announced on the event day. Door prize will be available in every session. 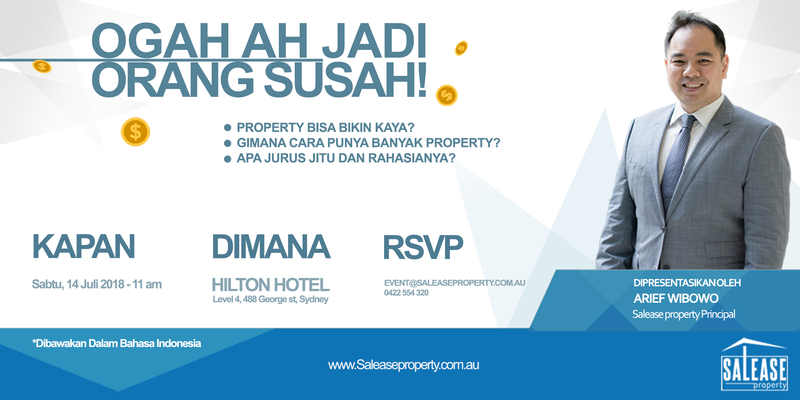 We'd like to invite you to our first property event in 2016. Exclusive release 4 bedrooms house and land in Mango Hill, Brisbane. YES, this is 4 bedrooms, not 3. *conditions apply & booking only available during the event. 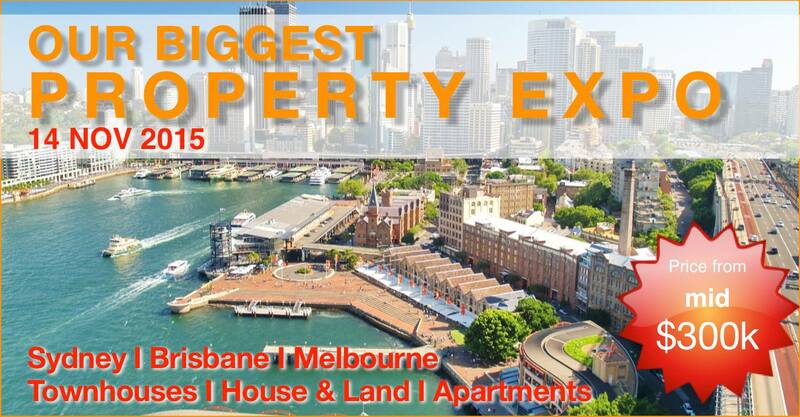 We'd like to invite you to our biggest property expo for 2015.